and thousands of other companies worldwide. Choosing barcode creation software needn't be daunting. You just need to make sure it is accurate, easy to use and can produce barcodes compliant with the standards. Peninsula's Barcode software can do all of this on your Mac or your Windows PC, it even checks they can be read. Our barcodes are accurate to 0.000001 micron which means perfect barcodes every time. We support all the industry standards from both GS1 and AIM, so you will never be stuck to make a barcode. All you need to know is what number you want to make into a barcode. It helps to know the type, but this is not essential as we can help you there just email our barcode experts. Creating barcodes with our barcode software is simple, it's just 2 steps, see below just to see how easy. Full Barcode Size and Scale Controls. It also provides full control over height and bar width reduction in microns to allow for ink spread during the professional print process. A full set of other options can be customised with a click. Use Barcode to make vector based accurate barcodes on your Mac or PC to use in design software such as Adobe Illustrator, Photoshop, InDesign, Quark XPress, Corel Draw, AutoDesk Graphic, Sketch, Affinity Designer and other applications like Word, Excel, Pages, Numbers. If you just want to print labels to a label printer please click here for details of Labeller our label design software. "It worked right out of the box!! You guys are amazing... I am so impressed!! I was expecting to have to putz around for a few days to get everything working. This is one of the most satisfying product solutions I have experienced in my lifetime." Why Should I Choose Barcode ? Exclusive Barcode is the most comprehensive barcode software available today. It has more control over the barcodes than any other software. Exclusive Accurate to 0.000001 micron. We use our own barcode creation libraries to make sure your codes are perfect every time. Other software has limits to sizing or no sizing at all. Exclusive Full Colour Support Including Spot Colours. No other barcoding software for Mac or Windows has this facility. Exclusive Save Custom Code Types. Exclusive Automatic GS1 128 Generation. Exclusive Automatic GS1 Datamatrix Generation. Barcode X is the only barcode software on the market that automatically makes GS1 Datamatrix barcodes without a special editor, simply enter the code as it would appear underneath the barcode and click OK, the application id's are automatically interpreted and the correct format output in the barcode. Exclusive Automatic GS1 Databar Coupon Code Generation. Exclusive Complete Barcode Style And Layout Control. You can change the look of the barcodes easily, with full control over fonts, boxes, light margins, insets and many other options. No other software has all the options you may need. Exclusive Built In Barcode File Verifier. Barcode has a built in verifier for eps files that can check the measurement in the file and make sure they are scannable. No other software has this facility. Exclusive You get access to our 30 Years Experience with Windows and Mac barcode software. QWhat barcode types can I make? Barcode has support for over 170 different types of barcode, you can even save your own custom code layouts to a special menu. QHow easy is it to use? Simply choose a barcode type from the menu at the top of the window, type your barcode data into the 'Main Code' box and click OK.
QWhat graphics formats can I output? You can output as Illustrator EPS, PDF, Metafile, Tiff, Bitmap, Pure Postscript or PJL. These formats can be used in pre-press and design software to ensure accurate correct barcodes are included in your artwork. The barcodes are created dynamically at full resolution and the vector formats, EPS and PDF, are accurate to 0.000001 micron..
QCan I import numbers from somewhere else ie Excel? Yes you can import barcode data from csv files to create a large number of barcodes in one go. QCan I make Serial Numbers? Use the built in wizards to automatically create a serial block of barcode numbers with one click. QI make barcodes for Marks and Spencer can I do this? We support all the special Marks and Spencer codes types and also special types form other retailers too. QWhat if I don't see the barcode type I need? Email us and we will let you know how to make it. QWill it work on my computer? Our software is designed to work with Mac OSX versions 10.6 to 10.14 and Windows from Vista to 10 so if you have one of these, (99% of Macs and PC's out there) then, yes. QCan I test it out? Download a free demo here The demo is fully functional but changes the barcode data. QHow can I buy it? Click the Buy Now button and enter your details, you will be given your serial number and invoice immediately on screen, and we will also email you a serial number and order id to use in the software. This version is fully functional but changes the barcodes made to the same number. QIs there a 64Bit version available? A free* update will be released soon for MacOS to fully support 64Bit. * Free update available for purchases made within the last year. Only available on MacOS initially. QIs there upgrade pricing available? Yes! Please contact sales@allensby.com if you would like to upgrade your existing license to a new version. We are the only people who are recognised by Marks & Spencer as their only approved supplier of barcode software. If you need a barcode type we don't do, ask us, most likely we will have it or we'll add it. Barcode can create your barcodes exactly how you need them, you can specify the CMYK colour. You can even use spot colours such as Pantone. Barcode even tells you if the colour chosen will not scan. One click makes accurate, standards based, reliable barcodes, every time. We have built world class barcode software for 30 years. If we don't know the answer no one does. Get started today. 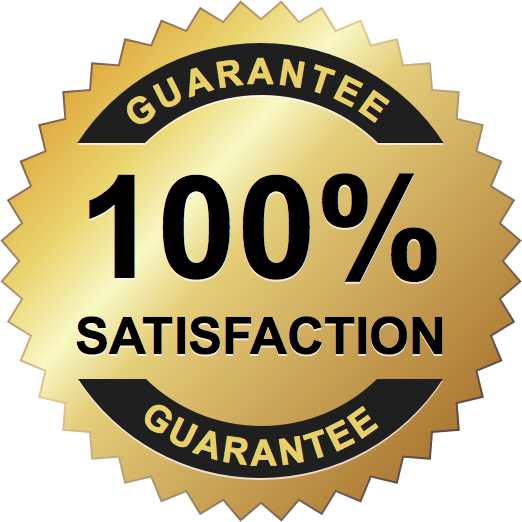 We also offer a 30 day money back guarantee and a 3 year software operation warranty. "We believe in our products, so our new 3 year software operation warranty means that we will make sure that this software will work for at least 3 years even if you purchase a new Mac. If at any time you need help, just ask and we will help. "